The South African Krugerrand was first released in 1967. For the first 20 years of its existence, it dominated the gold bullion market, and is still the most widely held gold coin in the world today. 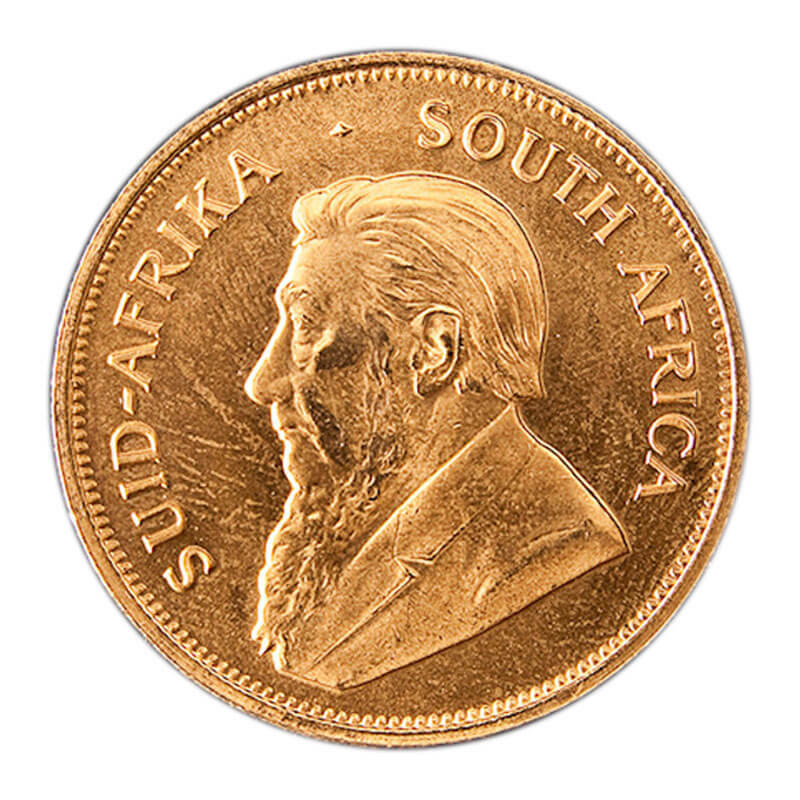 The obverse of this 22kt coin depicts Paul Kruger, President of the original South African Republic from 1883 to 1902, and the reverse shows the springbok, the national animal of South Africa. Because the spread between the buy and sell price are typically lower on the Krugerrand than other bullion coins, it makes it simple to know the exact value of your coins, and are often purchased by “price conscience” investors. The Krugerrand is available in four sizes: one-ounce, half-ounce, quarter-ounce and one-tenth ounce. Each size relates easily to the current 1-ounce gold price.